If you’re a blogger, you probably want to make money from your blog. And you asked, how? There are several ways to monetize a blog and one of them is using Google Adsense. Before we go to the nitty-gritty of Adsense, let’s take a look at some facts about it. 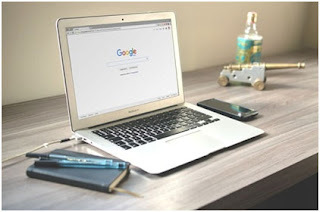 If you have a blog or website and you want to join the Google Adsense program, the first thing you must do is to create an account in www.google.com/adsense. If you are accepted into the program, you can put up an adsense code to your site. Beware though, that you might not pass the requirements. So, read carefully about how to join the program in Google Adsense guidelines. After being accepted and you add an Adsense code to your site, the next thing you must do is to increase your traffic. Your must make great content so your visitors will stay longer on your site and click on ads. When an ad is being clicked, then you get your money. But maybe not as simple as that, because there are many factors to make Adsense as a good income source. Adsense is not get rich quick scheme. It may take months even years to make this program really works. You have to be patient and plan your way up carefully by considering every possible path to create a passive income of your blog. Traffic is absolutely the main theme in creating a great revenue from Adsense. 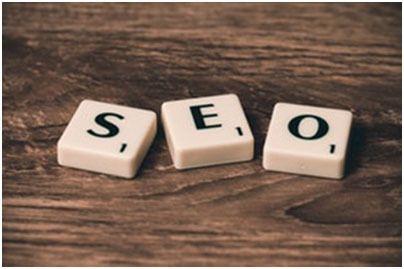 That means, you must put a lot of efforts to make your site on the first page of Google. Contents, on and off page SEO are the essential parts. And especially content, you need to make it as a “killer” content, so your readers believe you as an authority. By creating a great content, your visitors will visit your blog again and again, and that will increase your income. As you probably know, there are two ways of making money in Adsense. Clicks and impressions. The more traffic you have and the longer they stay on your blog will definitely boost your revenue. And also the selection of keywords that have a lot of searches in Google. It will be useless if you rank #1 in SERP, but nobody is looking for the keywords. But again, keywords with a lot of searches will also have a tight competition. HOW IMPORTANT IS KEYWORD RESEARCH? Keyword research is the most crucial part of SEO. If you choose a super competitive keyword, then probably you should give up to make money off Adsense. Because your blog has to fight with authority sites and it would take years to outrank them. Or it could be impossible to beat them. So, choose your keywords wisely, with good searches per month and less competition. After choosing the right keywords, then creating a depth content is a must. Let’s say our competition has a 1000-word article, in that case, you must create a 2000-word article. Skycrapper technique as mentioned by Brian Dean (Backlinko) is always the best recipe to rank in Google. You may think that you can place your ads anywhere on your site. But the fact is, there are certain rules you need to know about the placement of the ads, so you can maximize your Adsense income. Don’t make your page crowded by ads. It will make your visitors run away and never come back and you don’t want that to happen. Giving values to your readers is the best way to make sure your revenue. The question is, are your ads helping your visitors to solve their problem? It’s not just about monetization, but it also how to make people comfortable and help them out with a good solution. Place your ads so your readers will find it easily. Don’t let them busy trying to find the ads, by scrolling down or up. Put the ads in a wider place in order to make them see it wholly. Is it possible to make a huge amount of cash from Adsense? The answer depends. If you put your efforts relentlessly and working strategically, then you have a chance to have your site as your passive income source. But if you don’t have a great determination, then probably you should have to find another way. A lot of parts to combine and make a thorough test are absolutely necessary to find the best strategy to maximize the profit. However, this is a learning process and we should encourage ourselves to enjoy it. Don’t click your own ads. Don’t even think about it. Big G seems to know about everything. If you click your ads and Google knows it, you may be getting banned. And that’s the last thing you want. Don’t persuade your friends or families to click your ads either. As always, Google may find out and you’re getting banned. It’s not worth the effort. Do check your clicks stat. If usually you have 5 clicks a day and suddenly you have 100, then something is not right. Someone might try to make you banned. If it happens, contact Adsense by e-mail, tell them that you are the victim. Don’t put all your eggs in one basket. This is clearly one good advice to apply because you don’t know whether Google makes an update and your site is penalized. Make another way of monetization is certainly the best method to secure your revenue. Obviously, Adsense is a good way to make a living. But you must utilize a proper strategy to earn a substantial income. Several aspects need to be applied so that your site becomes a money machine. Making your site as an authority is surely the best option. And once again, you have to work hard and smart.